In the 1930s, during his endeavor in search of the secret to health, Dr. Weston Price, a highly respected dentist, spent 10 years visiting hundreds of cities in 14 countries on 5 continents. Dr. Price's aim was to find people with overall excellent health, minimal tooth decay and high immunity. Indeed, he did find that indigenous people who ate their own ethnic unprocessed foods met his criteria. However, Dr. Price found that when people within these groups were introduced to modernized foods, such as white flour, white sugar, refined vegetable oils and processed foods, they showed signs of quick deterioration in their health. In 1939, upon returning back from his journey and compiling his research, Dr. Price described a fat-soluble vitamin, which he called X-Factor or Activator X. Through his lab tests, Dr. price found that activator X, is mainly present in butterfat, organs and fat of animals consuming rapidly growing green grass. He also noted that this compound plays an important role in the utilization of minerals, protection against tooth decay, growth, protection against heart disease, as well as the brain function. After decades of research, scientists were able to identify Dr. Price's Activator X as the fat-soluble vitamin K2. Both vitamins K1 and K2 are forms of vitamin K. Vitamin K1 is the one found in dark leafy greens and vegetables, such as kale, spinach and broccoli; and is most famous for helping our blood clot, thus preventing serious bleeding. The highest concentration of vitamin K1 in the body is found in the liver. Dr. Weston Price had performed a number of fascinating studies on vitamin K2 where he referred to it as activator X; and combined it with high quality cod liver oil. In one of the studies, Dr. Price selected a group of twenty-seven children; all from poverty stricken families and suffering from rampant tooth decay. The children's diet was very deficient as it mainly consisted of "highly sweetened strong coffee and white bread, vegetable fat, pancakes made of white flour and eaten with syrup, and doughnuts fried in vegetable fat." All of the children received one extra good meal a day at midday. The children's meal included about 4 ounces of tomato or orange juice and a teaspoonful of a mixture of equal parts of a very high-vitamin natural cod liver oil and butter oil (ghee) with a high content of activator x. Each child then received around half a liter of a very rich vegetable and meat stew that always contained finely chopped vegetables and plenty of very yellow carrots. Dessert consisted of cooked fruit with very little sweetening and rolls made of freshly ground whole wheat and spread with butter with a high content of activator X. Each one of the children also received two glasses of fresh whole milk a day. At the end of the trial, dental caries of all the children were completely controlled. Impressively, during the trial two different teachers came to Dr. Price "to inquire as to what had been done to make a particular child change from one of the poorest in the class capacity to learn to one of the best." In another illustration, Dr. Price was able to save the teeth of a 14 year old girl who had forty-two open cavities in twenty-four teeth. The girl's local dentist had indicated the necessity of removing all of the decayed teeth and the construction of two artificial dentures. However, Dr. Price placed the girl "on a reinforced diet including approximately one-half teaspoonful of a mixture of a high-vitamin A and high-activator X butter oil mixed with equal parts of a very high-vitamin, natural cod liver oil taken in capsules three times a day." After following the regimen for seven months, all the teeth of the girl healed. While calcium insufficiency may lead to a higher risk of bone fractures and osteoporosis, the overconsumption of calcium supplements may lead to calcium deposits in the blood vessels and soft tissue, causing kidney stones and heart disease. 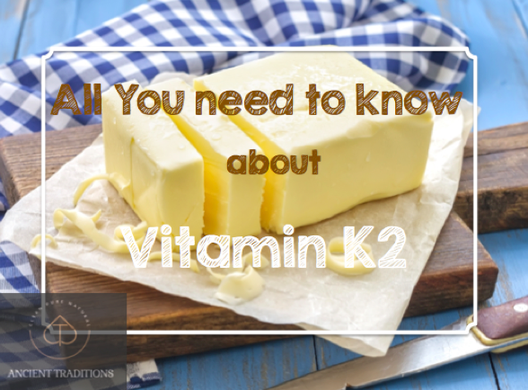 This is where vitamin K2 plays an important role as it has been shown to have the ability to prevent calcium from depositing in the arteries and causing arterial calcification (1). However, besides the risk of arterial calcification, calcium overconsumption may lead to obesity, Type 2 diabetes, depression, hypertension and more. That is why many health experts nowadays suggest that in order to maintain healthy bones and overall good health vitamins D, K2, and A (from a natural source such as cod liver oil), as well as magnesium should be taken in adequate quantities together with calcium from calcium-rich foods, such as sardines, oats, oranges, kale, spinach, parsley, dried figs, raw almonds and more. In a large meta-analysis, it was concluded that high vitamin K2 levels were associated with 60% reduction in vertebral fracture risk, 77% reduction in hip fracture risk and 81% reduction in non-vertebral fracture risk. The beneficial effect of vitamin K may not be due to an increase in the bone mineral density but improved bone strength (2). Numerous studies have also shown that vitamin k2 is effective against cancer; with one study showing it slows cancer growth among lung cancer patients through encouraging apoptosis (3), while another showing that vitamin K2 intake decreases the risk of prostate cancer (4). Vitamin K2 was also shown to help against other types of cancer, such as colon, leukemia and stomach. There are two types of vitamin K2: MK-4 and MK-7. MK-4 is the type that Dr. Weston Price researched and found in animal fat and organs. After testing more than 20,000 butter samples, Dr. Price was able to conclude that the highest vitamin K2 concentrations were found in the products of animals that grazed on rapid growing green grass during the springtime. Why rapid growing grass in specific? Because it contains the highest amount of chlorophyll. Chlorophyll is then processed by probiotic bacteria in the guts of these animals into MK-4. Cows fed on dead hay will produce lesser amounts of vitamin K2, while those fed on corn and soy will produce the least, if any. Based on Dr. Price's research we all need MK-4 for the integrity of our teeth. Furthermore, pregnant women need MK-4 for their babies. In her book, Vitamin k2 and Calcium Paradox, Dr. Kate Rhéaume-Bleue states that weeks 5-12 of pregnancy are critical for the baby’s teeth development. Both sets of teeth, the baby teeth and adult teeth are formed during these weeks. Proper bone, jaw, skull, and dental development is impossible without adequate MK-4. On the other hand, MK-7 is produced by beneficial bacteria and found in fermented foods such as natto, which is Japanese fermented soybeans. Cheeses such as Gouda, Brie and Edam are among the highest in vitamin K2 with Brie containing around 75 mcg per 100 grams. However, in order to get the suggested daily requirement of around 180 mcg, you need to eat more than 200 grams of cheese. Our body needs both MK-7 and MK-4 in order to function well and maintain a good health. Acquiring both forms through diet would be the ideal way to supply our needs, but the problem is that with the current farming practices and the lack of nutrients in the soil, we need very large quantities of food to get all our needs. Supplementation is sometimes required, especially if we're dealing with a health condition such as tooth decay or pregnancy. We need much more MK-4 than MK-7 because MK-4 is much more abundant in our body tissues and is the only form found in our brain. Research suggests a minimum of 500 mcg of MK-4 per day and 100 to 180 mcg of MK-7 per day. Goose liver and emu oil contain the highest amount of MK-4, at around 369 mcg/100 grams. Butter and egg yolks contain around 15 mcg MK-4 per 100 grams, while some brands of ghee were found to have around 35 mcg/100 grams. As mentioned above, Gouda, Brie and Edam are amongst the cheeses highest in MK-7, at around 75 mcg/100 grams. If you want to go natural, focus on getting adequate amounts from a variety of foods. If you're looking for supplements, look for a supplement that contains both MK-4 and MK-7 in reasonable proportions. Make sure that the MK-7 is in the Trans form, which is found in nature, not the Cis form. Note: Research shows that vitamin K2 supplements are best taken around 8-12 hours away from vitamin d supplements. It is a good idea to take your vitamin d with breakfast and vitamin K2 with dinner. 1. Dr. Weston Price was able to heal tooth decay among children with the help of cod liver oil and activator X. 2. Science was able to identify activator X as vitamin K2. 3. Vitamin K2 was found to help in health conditions such as osteoporosis, heart disease and cancer. 4. MK-4 and MK-7 are both form of vitamin K2. 5. MK-4 is found in animal fat and MK-7 in fermented foods. 6. Pregnant women need MK-4 for the development of their baby's teeth. 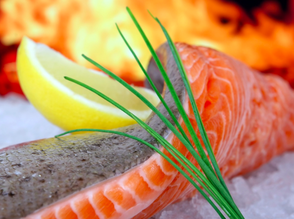 Benefits of fish oil you never knew about! Masterjohn, Christopher. 2008. "On the Trail of the Elusive X-Factor: A Sixty-Two-Year-Old Mystery Finally Solved." The Weston A. Price Foundation for Wise Traditions in Food, Farming, and the Healing Arts. February 14. https://www.westonaprice.org/health-topics/abcs-of-nutrition/on-the-trail-of-the-elusive-x-factor-a-sixty-two-year-old-mystery-finally-solved/. Price, Weston A. 2016. In Nutrition and Physical Degeneration, by Weston A. Price, 391 - 394. Lemon Grove: Price Pottenger. Rhéaume-Bleue, Kate. 2013. Vitamin k2 and the Calcium Paradox. Harper. Vitamin D Protocol. n.d. The K2 Revolution....Vitamin D's New Best Friend. http://www.vitamindprotocol.com/the-vitamin-k2-revolution.html.